A series that was considered to be a mere dress rehearsal for the upcoming ICC World Cup 2019 against a supposedly weak Australian side, turned out to be a black spot on India's ODI home record. Surprisingly, the visitors ended up winning the series 3-2 against a strong Indian team. The last time the Men in Blue lost a bilateral ODI series in their own backyard was way back in 2015 against a powerful South African team. 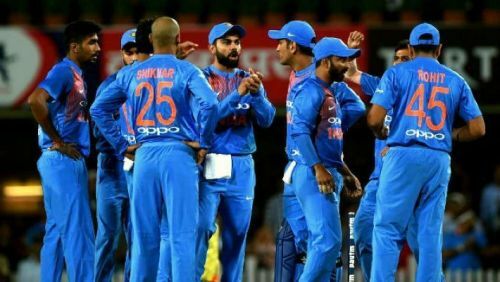 Considering India’s recent form, the Australian captain Aaron Finch and recently appointed coach Justin Langer would not have imagined winning a series against India at their home turf - especially bearing in mind that the very same team had convincingly thrashed them in their own backyard just a few months ago. In fact, many cricket experts expected it be a whitewash. But they were proven absolutely wrong due to some exceptional cricket played by the Australian team throughout the series. Without a doubt, the Indian team management will be extremely disappointed with the series outcome. However, this may just be the much-needed setback before the all-important ICC World Cup 2019 coming ahead. As they say, you either win or you learn. A lot of times, a winning team tends to avoid diving deep into the areas of concern and instead just celebrates the positives. However, a series defeat invariably forces the team to dig deep and analyze every single error with microscopic eyes. A home ODI series loss is a much-needed eye-opener for Team India just ahead of the ICC World Cup 2019. It will enable the team management to analyze their shortcomings and work towards rectifying them. One key weakness that was certainly discovered was India's ability to deliver results when placed under pressure. On several situations, the Men in Blue were cornered at critical game situations and unfortunately, they could not absorb the pressure and eventually succumbed. Over the course of the mega tournament, it is very much expected that the team will come under immense pressure on just not one but on several occasions. And the way the team plays through such scenarios will determine India's fate in the mega event. 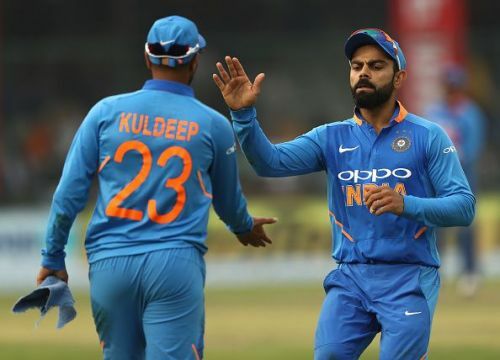 India vs Australia 2019, 4th ODI: Did India miss a trick or two in Mohali?